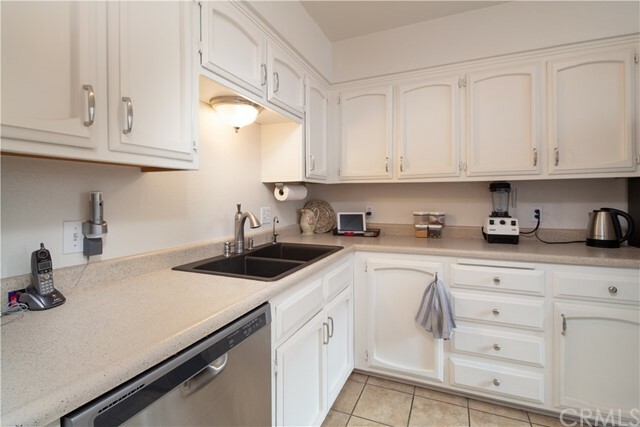 This currently up-dated PUD is nestled in the desirable area of Grover Heights, conveniently located to nearby shopping, restaurants and for the commuter, south and north bound freeway. The large windows allow the bright light to display the beauty of the recently installed Artisan Birch flooring. New French doors lead you to a private patio just professionally landscaped for those early mornig cups of coffee or evening enjoyments. This 2 bd. 1 1/2 bath features, walk in closet, freshly painted rooms, new carpet, remodeled kitchen, new ceiling fan, large amount of storage spaces, fireplace and washer/dryer located in the exterior storage area maxmizing the interior sq. footage. Included in the Hoa fee, paid monthly, water, trash, sewage, maintenance of common areas, landscaping, pool, tennis court and exterior of the building maintenace. The seller has done much more to make this condo feel like home, so don't wait, come by and see for yourself, you won't be disappointed.